Images of rainbows, waterfalls and a night sky filled with millions and millions of stars as far as the eye could see … that’s what I imagine it would be like … the Angels Bridge between Heaven and Earth. With each step along your Spiritual Path to fulfilling your purpose and connecting with Angels, you get to surrender fear and doubt, lack and limitation, and feeling lost or confused about who you are and what you came here to do. That is a “taste” of what Angels of the Virtues offer you as you free yourself from self-limiting beliefs and negative self-sabotage. Sometimes we are the ones who “get in the way” and end up blocking the very outcome we’ve prayed and visualized to happen. So much of what we think and feel as being truth for us is an illusion we’ve inherited from generations long-since past. We’ll be going “Behind the Angelic Veil” to tap into the mysterious and Mystical World of Angels and the treasures they have for you. Not sure you’ll be able to make the live, online class? No worries, it’s being recorded so you’ll get everything and miss nothing. So let’s get you signed-up (click here now) you won’t want to miss this … it’s going to be fabulous! … wouldn’t that be amazing? If you answered anything except “YES” then this probably isn’t for you. “This” is an online class all about Angels and their 3 Sacred Angel Realms, the Heavens of Form, Creation and Paradise. We haven’t really “talked” about the Heaven of Paradise yet so let’s do that now. The Heaven of Paradise is the 3rd Realm of Angels who have the highest vibration of all other Realms of Angels. There is only love and a sense of Oneness in this Mystical Angel Realm. Don’t know about you but … being able to tap into and connect with energy that is pure love means you would be in alignment with your goals and dreams and able to fulfill your purpose easily and effortlessly. When you are in complete and total alignment mentally, emotionally, energetically and Spiritually, there is NO ROOM for fear or doubt AND this is “where” miracles happen! This also means — at least in my way of understanding — attracting and manifesting prosperity and abundance while making a difference helping others have a better life too. We — the Angels and I — are excited about sharing their Mystical World with you! You are joining us … aren’t you? PS … Come with us “Behind the Angelic Veil” into the Heavens of Form, Creation and Paradise and 9 Angelic Hierarchies where Angels help you tap into mysterious and mystical treasures they have for you. Click here and register now. Long before I became consciously aware of connecting with Angels, I had heard about the “Veil” between the Realm of Spirit and our world of substance and matter. So what’s really “Behind the Angelic Veil” and how can we tap into these mysterious, mystical treasures Angels have for us? In times of massive change and stressful situations, transformation can be particularly challenging. Even when we know deep down that everything is really unfolding perfectly, Ego-chitter chatter kicks up shadows of fear and doubt. This is where knowing how to get “Behind the Angelic Veil” really helps us re-connect with Angels and feeling or sensing their amazing, loving, powerful, healing energy all around us. This is what 3 Sacred Angel Realms: A Journey “Behind the Angelic Veil” is all about … we’re going to take a behind-the-scenes look at all three Angel Realms or the Heavens of Form, Creation and Paradise. 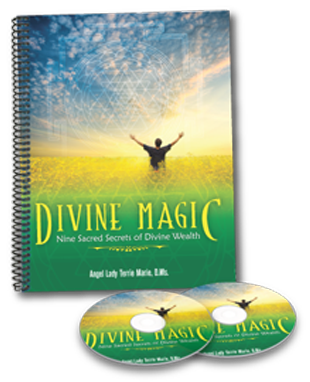 You’ll learn what each Angelic Hierarchy has to offer you and how Angels can help you with your Spiritual Path. #3 – Heaven of Paradise, which is “Home” for Angels of the Thrones, Cherubim and Seraphim, the Angels with the highest vibration of all Angels. Angels of the Powers gift you with peace, balance, harmony and serenity. They guide you through emotional turmoil, creating a sense of peaceful contentment … when you “ask” these Angels to help you. Emotional turmoil can be caused or “triggered” by almost anything, especially when you are physically tired or your energy level is low and needs to be replenished. When you are consciously aware of what you feel — even if in that moment you are not sure what “triggered” you — Angels of the Powers can help you “move through” what you are feeling or experiencing, with less drama. Ophaniel, Angel of Divine Order, is just one of these powerful and loving Angels of the Powers. There are cycles in every area of our life and work and balance, being in balance is crucial to our Spiritual Path. We experience highs and lows, darkness and light, confusion and clarity, just to name a few of the countless kinds of cycles within Divine Order itself. Often after finishing a major project like creating a new Angels’ class or designing a new set of Angel cards, there will be a bit of a “let down” because it’s literally giving birth or “bringing forth” information and images channeled from Angels themselves. Being connected for hours at a time can be draining physically, mentally and emotionally. The physical body becomes a channel for Angel Energy at the highest levels of vibration and the “recovery period” depends solely on how much energy you and your human self are able to manage and process. Angel Ophaniel can help you — when you ask — shorten your “recovery” time, bringing your human self and Spiritual Self back into alignment with each other. This is just one Angel who reaches out to you from the Powers Hierarchy. Very soon I’ll be sharing how to join me “Behind the Angelic Veil” into the Mystical World of Angels and how they help you on your Spiritual Path so you can live your purpose with prosperity and abundance. A few days ago, we “talked” about the 3 Mystical Angel Heavens of Form, Creation and Paradise and the gifts Angels have for us, to help us along our Spiritual Paths to living our purpose with prosperity and abundance. #1 – Guardian Angels: These amazing Angels accept us as an assignment and stay with us our entire lifetime. Sometimes, the same Guardian Angels choose to accompany you each time you incarnate into physical form. Guardian Angels have a little more latitude or freedom in the way they are allowed to help, guide and protect us … but we still have to “ask” for their help. #2 – Archangels: Are messengers for or from Divine Source and have a higher vibration than Guardian Angels. Archangels have been gifted with the ability to transform dense, leaden Earth energy through Spiritual Alchemy, a metaphysical process of removing mental and emotional energy blocks. #3 – Angel Princes: These Angels are protectors, helpers and guides for humankind. They represent the collective unconscious and Spirit of Humanity. Angel Princes attempt to guide decision makers with Universal Laws, compassion, truth, unconditional love and Divine Right Action. Remember … we must “ask” Angels to help us. They are not allowed to intervene in our lives unless we are in great danger and it isn’t our time to transition from this life to the Other Side. “Talk” with you in a few days! 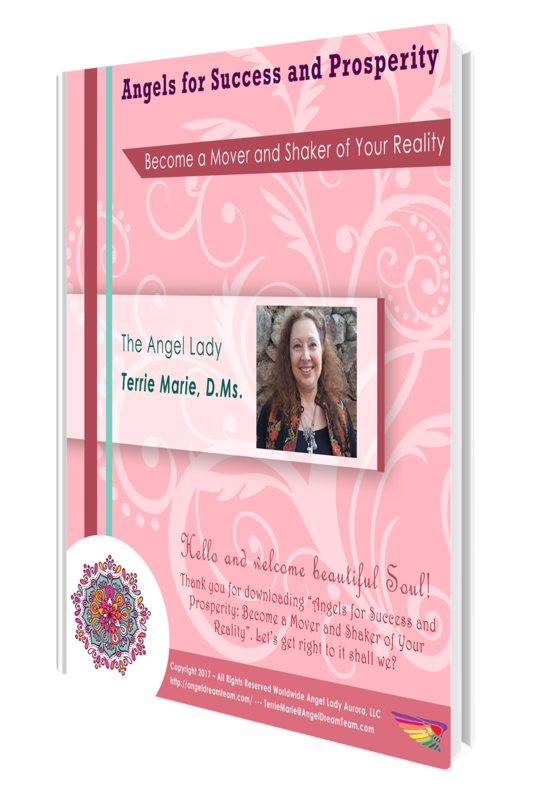 At the end of 2013, my beloved Angels tasked me with telling their story … a journey that required me to take many Leaps of Faith and raise my inner vibration in ways that were beyond my level of understanding at the time. At first there was quite a bit of resistance because there was very little information on these Mystical Angel Heavens or the 9 Angelic Hierarchies. This journey demanded and required that I tap into Angel Energy at higher and deeper levels than I knew were possible. #1 – Heaven of Form: Angels in this Heaven gift us with the ability to transcend the ordinary, everyday issues that seem to consume most of our waking moments. Being able to rise above obstacles, fear and doubt, mental and emotional chaos, is necessary in raising our inner-vibration enabling us to connect with Angels for guidance and messages. #2 – Heaven of Creation: Angels in this Heaven helps us with the most important relationship of all … the relationship we have with ourselves. Relationships are simple and complicated all in the same moment. When we can truly be at peace with who we are and what we came here to do, the path, that magical and somewhat elusive path to fulfilling our purpose begins to reveal itself in ways you simply cannot imagine … yet. #3 – Heaven of Paradise: Angles in this Heaven step beyond everything we have ever known, believed and trusted to be truth. These Angels encourage us to surrender all illusion, enabling us to experience complete and utter Oneness with ourselves, Angels and Divine Source. Angels are everywhere in every moment of every day. Angels are always by your side, clearing your path, healing your heart and taking you by the hand to gently guide and encourage you each step of the way. In the next email, we’ll explore the first 3 Angelic Hierarchies which are … to be continued so be sure to watch your in-box. Sacred Angel Realms NOW on Amazon! I am sooooo excited about being to share this labor of love …. 18 months of working or channeling in-depth information about 9 Angelic Hierarchies, 3 Heavens and 45 Angels … you can find this on Amazon in both soft cover and on Kindle. Kindle: Click here to get this insightful book today! Soft cover: If you’re like me and want a book to hold in your hands, here’s the link to the soft cover book: Click here for your soft cover print book today!